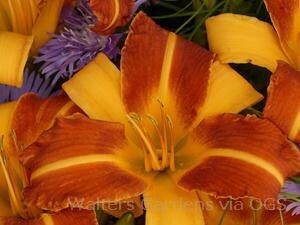 Product Information : Bicolor with orange sepals and bright reddish-copper petals with creamy orange midribs. 6-pointed star form. Ruffled petals, green throat. Long-blooming.